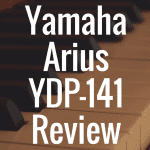 Welcome to our in-depth review of the Yamaha MX49 (v1) synthesizer/keyboard. 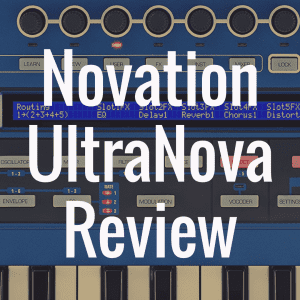 I’m going to cover the keyboard’s basic features, details about how it’s all put together and give some insight and opinions on how I like it both sonically and operationally. I’ve used the Yamaha MX49 personally since early 2015, and for certain, it has some absolutely fantastic sounds and features (including those pristine Motif-based sounds and full integration with Cubase). It also has some limitations, all of which have work-arounds that vary from simple to annoying. It’s an amazing board for beginners and a solid-great board overall for pro’s who want to add some stellar sounds to their arsenal or have an easy-to-carry keyboard to take to gigs. The Voice categories start with “AP” (Acoustic Pianos) and run the gamut from Keyboard (“KB” which includes Rhodes, Wurlitzer, Clavinet, etc.) to a wide variety or organs, guitars, brass, strings, woodwinds, synth leads-pads-comps, chromatic percussion, drums, sound effects, multi effects, and ethnic sounds. The Performance section is one of my favorite features of the MX49. Each Performance stores 16 Voices, which are playable from the keyboard itself or a computer/DAW in a variety of ways. Inside the Performances each Voice is called a “Part,” which can be a little confusing until you adjust to it. 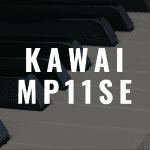 Each Part is on a separate MIDI channel (1-16) and Parts 1 and 2 can be played automatically on the keyboard itself as single sounds, Layers or Splits. Parts 3-14 can also be played on the actual MX49 keyboard so long as you select each Part inside the Performance (Parts 3-14 can not be included in layers/splits). Effects are versatile and of better quality than I expected for the price-point, and even though the overall output of the MX49 is beneath acceptable standards (See Pros/Cons below), you can boost the volume of each part using “Reverb” and “Chorus” sends without actually adding effects. Four (4) separate Parts can have individual insert effects and all sixteen (16) parts can have chorus, reverb and EQ assigned to them globally. Socket-wise, the rear panel of this keyboard is basic-and-functional. It has one (1) MIDI in and one (1) MIDI out. 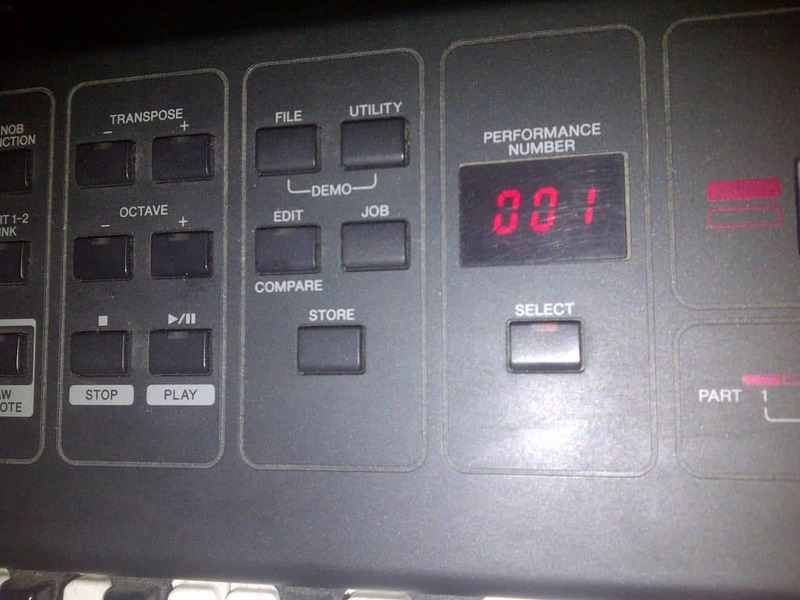 There is no “MIDI Thru” option. However, it does have “To Device” and “To Host” USB ports (Types A & B), which can be used for several things (including memory cards/sticks). The MX49 can actually be your monitoring system for your entire DAW setup, which is quite convenient for both beginners and musicians on-the-go. You can record from your MX49 into your DAW/laptop via USB at great, professional levels without an additional audio i/o interface (which may be why the actually 1/4” outputs are so overlooked by Yamaha in this unit). In addition to MIDI and USB, you get a standard stereo headphone jack, left and right 1/4” inputs (the right side also doubling as an output), an aux in phono jack (so you can monitor from your phones, tablets or other devices) and the standard sustain/foot pedal jacks. 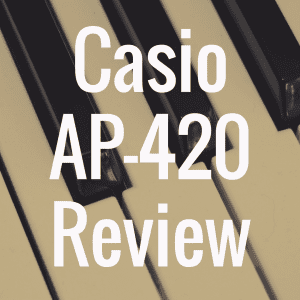 The MX49 also has fifteen (15) Arpeggio categories, which are broken down into Voices (broken down further into notes/chords), Drum Kits and Primary Controller Data. You can also customize some Arpeggios to be activated by certain (usually higher) MIDI velocities. All Arpeggios are fully recordable as MIDI data/tracks as well, which is a nice trick. The LCD is not the most user-friendly screen I’ve ever looked at, and the editing hierarchy is not much-if-any-better. Once you get used to climbing around inside the editing menus it becomes second nature, but it does take some effort to acquire the muscle/procedural memory needed for editing. Speaking of editing, you can edit every feature of the MX49 inside the Mx49 except the oscillators and waveform parameters. It’s a weird situation and there are several, 3rd-party editing programs you can grab that tap into the MX49’s brain and let you operate on it from your computer. This was all an “affordability” issue for Yamaha, at least according to them. Two editors I found are the Vycro MXPerformance Editor and the John Melas’s MX Tools. To be honest, I didn’t find the editor programs to be all that less complicated than editing inside the MX49 itself and were it not for Yamaha omitting the oscillator editing options I don’t see the point out side of bank/voice/performance storage. The MX49 also includes the Cubase AI6 sequencer program (by Steinberg), the Yamaha YC3B organ emulator and a Prologue soft synth. This is a great deal that really bolsters the value of this keyboard to newcomers into the digital recording world. The top panel of the MX49 has your standard, assignable mod and pitch wheels. Master volume is obviously up there too. The best part of the top panel is the four (4) assignable knobs that give you real-time control over cutoff, resonance, chorus, reverb, attack, decay, sustain, release, volume, pan and “ASSIGN 1” and “ASSIGN 2” (the last of which can be assigned to whatever option the MX49 has available internally for you to use). You can link parts (therefore simultaneously editing 2 parts at once), activate “DAW REMOTE,” transpose by 1/2 steps and/or octaves, access files and utilities (including MIDI and other parameters), increase or decrease data via wheel or buttons, layer or split Voices, alter the temp of effects and arpeggios and easily switch between banks of sounds to move quickly from pianos to pads (for example). You can also stop, start and pause arpeggio or “Rhythm Pattern” action. That’s right, Yamaha included rhythms applicable to the style of each Performance and some of them are out of this world good. This little board packs a large punch for it’s price (ranging from approximately $300 USD used and $449-499 new)) and no matter what level you are as a player you will get some use out of it. How much depends on which of the MX49 features you really want/need. The Yamaha MX49 features that pristine Motif sound engine and a lot more flexibility than I thought it would. I do a lot of client work in the studio, producing and recording for new artists as well as cover bands that need tracks because they don’t have keyboardists on stage. The MX49 is my go-to board for those situations because it is so easy to set up banks of useful sounds per project. On stage I found it to be exciting to have (for example) a piano/Rhodes split but at the touch of a button move over to horn hits; then to a Hammond for the 2nd verse or bridge, etc. That internal versatility does a lot to compensate for the 4-octave spread to which this model is limited. Latency drives all of us crazy and Yamaha didn’t help ease our pain with this model. Whether connected via USB or MIDI, this keyboard does not seem to be juiced enough to handle top-tier, professional signal exchanges. On stage the volume levels are super low. It takes some effort and experience to balance out your patches and get a consistent gain structure across-the-board. You also really need to go deeper inside the parts/patches and adjust the internal EQ’s, because there are some spikes in various frequency ranges depending on the sound. Depending on your wiring/electricity at home, the MX49 can pick up ground loop interference/noise through its USB port. The only way around that is to have a line conditioner attached to your power chain. You should have that anyway if you can, but it’s a shame that Yamaha let that slide past their quality control department. Comparing the MX49 to the MX61 is really a matter of octave differential. The MX88 has 88 graded-action, weighted keys so that’s a huge difference there. Having these sounds across 88 keys and MIDI’d to another board, module or virtual instrument via laptop can give you a huge sound for every song. 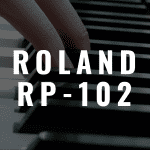 The feel of the MX49 action and keys are more buttery, like the Roland Juno synths. The Korg Triton is more brittle/rigid in its action but it has better velocity structure than does the MX49. The wiring, housing and connections are simply on the lower-end and Yamaha could have done a better job there. It’s unfortunate to even have to say it but I imagine that to get the MX49 into this price-range, this is the corner Yamaha decided to cut. Sonically, however, the MX49 has incredibly useable string patches (“STR: 006: Cello Duo” being my favorite), brilliant horn patches that can stand alone or serve as fantastic layers with your virtual instrument patches to add depth to your tracks, and of course those great-sounding, Yamaha Motif Rhodes patch varieties. The organs are … decent. There are a few that are standout-great and the rest are midland to cheesy. The basses are really good and (I hesitate to say it) some of the guitar patches are also quite useable and intuitive, even if just for demo purposes. There are stunningly beautiful pad options and the synth banks overall, from solos to comps, are really nice. Yamaha also did a really nice job providing decent drum kits useable for demoing and also layering or stand-alone in the studio (depending on your style/genre). The MOTIF XS8 had a real nice, subtle and natural room sound to some of its drum sounds and Yamaha incorporated that into the MX49. The 4X4 assignable knobs are quite handy and give a lot of flexibility and options for controlling and adding expression to your performances on stage and in the studio, especially because you can record all the knobs as MIDI data and capture your improvised filter sweeps, delays, altered attacks/sustains and whatever else you can dream up and assign to those easy-to-use knobs. Lastly, on the positive side of the street, Yamaha did a decent job with its arpeggios but a great job with its realistic, internal rhythm patterns. I’ve written one song based on one of those patterns and I normally never use things like that because I’m “old-school” at heart. As always, there are a few awful patterns thrown on the pile…but most of them range from solid to interesting to even inspirational. 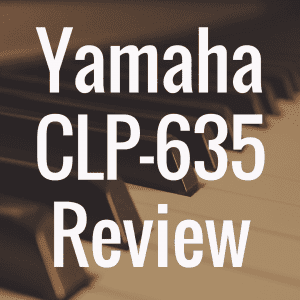 As a teacher, producer and performer, I have no doubt that beginners to professionals can all get good mileage out of Yamaha’s solid work toward the rhythm pattern vehicle in the MX49. • Live Use: Ease-of-access to 16 sounds in one Performance and…8+lbs! Most of the sounds in the MX49 are great. It will take a little time but you can balance out the patch levels and get a great sounding, easy-to-carry live board for not a lot of money. The action is fine as well. It’s not weighted but the actual keyboard part of the MX49 does flow well for organ, strings, Rhodes, etc. If you are a heavy-keys type of player, you will need to adjust the velocity structure to suit your needs, but once you do, it’s smooth sailing. The fact that this board also can operate as or with your DAW so effectively makes it a great 1st-board for new talent and a great board overall to have in your studio for songwriting and some surprisingly high-quality string and horn patches. The price-point is fair even if only due to the main pros as listed above. It’s really hard to beat getting banks of easily-accessible Motif sounds for $350-$500 USD. If you know how and are able to get around the cons of the Yamaha MX49, the pros are absolutely worth the price-point. I love using this board because I figured it out and were it not for the issues stated above I’d easily give it an A or 4.5/5 rating. I have to, however, grade it a B Minus or 2.9/5 STARS due to the wiring and latency issues that offset it’s mostly brilliant sound-banks and ability to easily access 16 sounds in one bank for live performances.